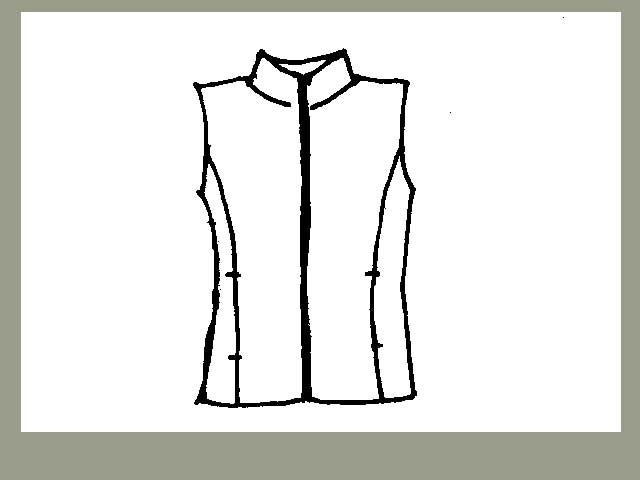 Fairly fitted zippered vest with set-in pockets and 2-way zipper. Available in all fabrics except Huck Lace. S, M and L sizes.